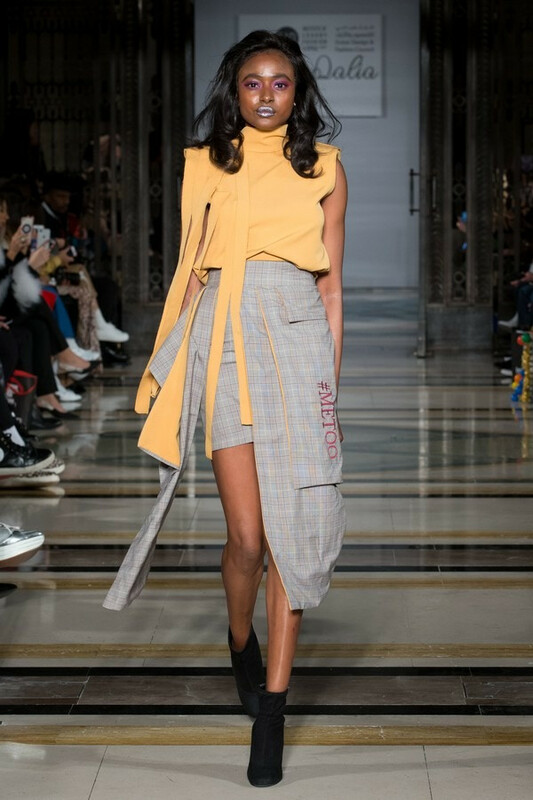 Drawing inspiration from the enchanting symbolism of the universe, creative director Dalia El Ali illuminated the runway with fiery offerings of cosmic symbolism entwined with visual references to the strong women we see come across on a day to day basis. Her dynamism and courage was explored through emphasized, 80s power shoulders, clashing fabrics and hashtag political statements like #meto and #timesup boldly stitched across key pieces. Many of her pieces featured cutaway detailing, with low back dresses and tops, high reaching trouser slits and cropped off-shoulder, crossover crop tops with uneven yet perfect floor-length translucent parent skirts with ruffles that complimented the female form. Dalia also reinvented the basic work shirt by making it oversized with balloon sleeves and a lace-up design on each shoulder. 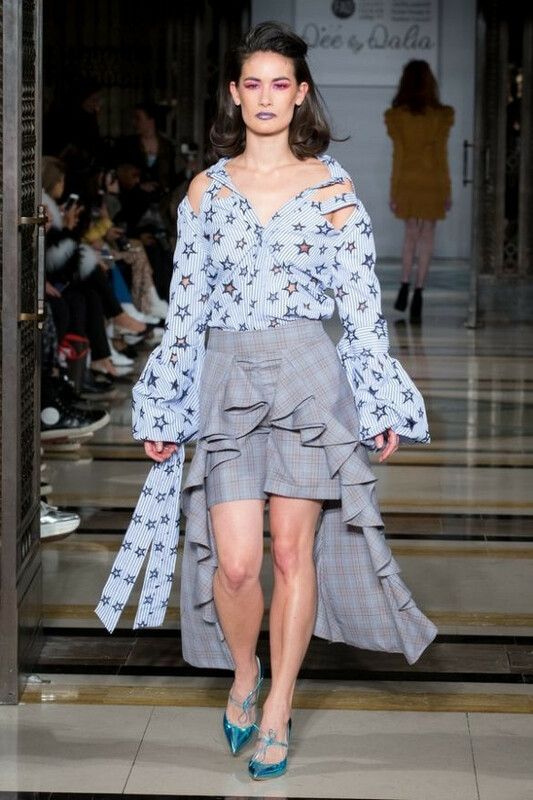 The colour palette for the collection incorporated soft beige, mustard, millennial pink, navy and black and tweeds and sequins layered on top of ruffles, ruching and printed jersey as a loud and proud stamp of design confidence.